Parent aged 1,000 in Sherwood Forest. 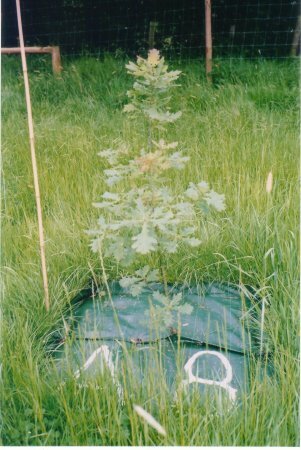 This diary or blog is about planting a new 7 acre oak wood in Dorset, England. 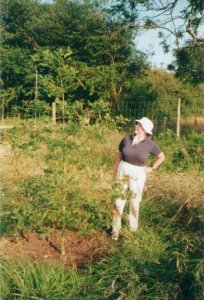 I got the idea in 1996, got the acorns in 2000, got the land in 2002, prepared the land in 2003, planted the saplings in 2004, and have been maintaining the plantation since. The language is terse, so much has happened that readers would get bored stiff with anything more profuse. My wife and I (both retired) collected the acorns from England's most famous tree in Sherwood Forest at midnight, and grew them in pots in our back garden at home. We potted up 300 oaklets from 3 inch to 10 litre pots. Land came our way at an auction, no one else bid because the nearby river flooded a week before. 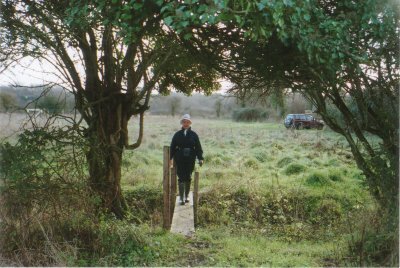 A year was spent hedging and ditching, digging a well and a nursery. 800 metres of deer fence was erected and local volunteers helped us plant the oaklets. 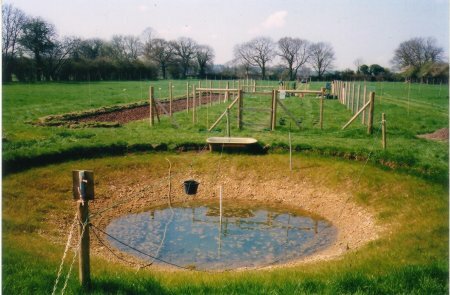 Battles against voles and grass began, with the aid of owls and kestrels and the hoe. We got a grant and the media became interested: radio, television and the local paper. Meantime, a large website was built to keep pace with our work on the plantation. We made every mistake in the book, but we learned from our mistakes. 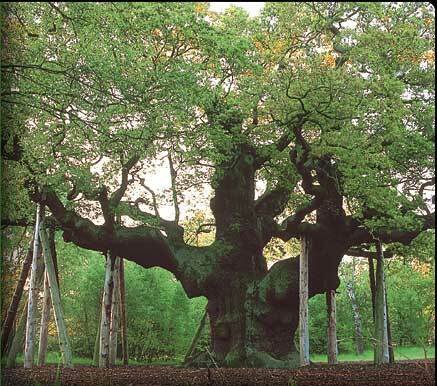 Oaks grow slowly enough for old folk to work out solutions to problems. The secrets are in the grass, water from the ground, deer fences, good hoes and kestrel boxes. Scroll down and read the oak blog. Oaklet aged 6 in Dorset. Well, veg-patch and Nursery in the Plantation. Bridge over the North ditch. 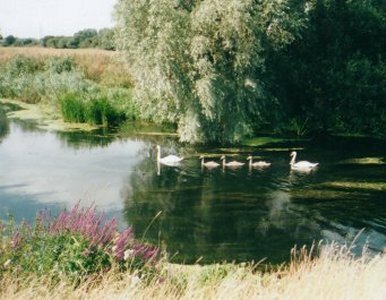 The nearby Dorset Stour in August.